We headed to Victoria, the capital city of British Columbia located on the southern end of Vancouver Island after visiting Vancouver. By getting there from Downtown Vancouver, we had to drive to Tsawassen Ferry Terminal, and travel via BC Ferry to Swartz Bay Ferry Terminal located South of Victoria City. The journey took us 90 minutes altogether and it costed 230 CAD for 14 adults and 2 children plus one vehicle. 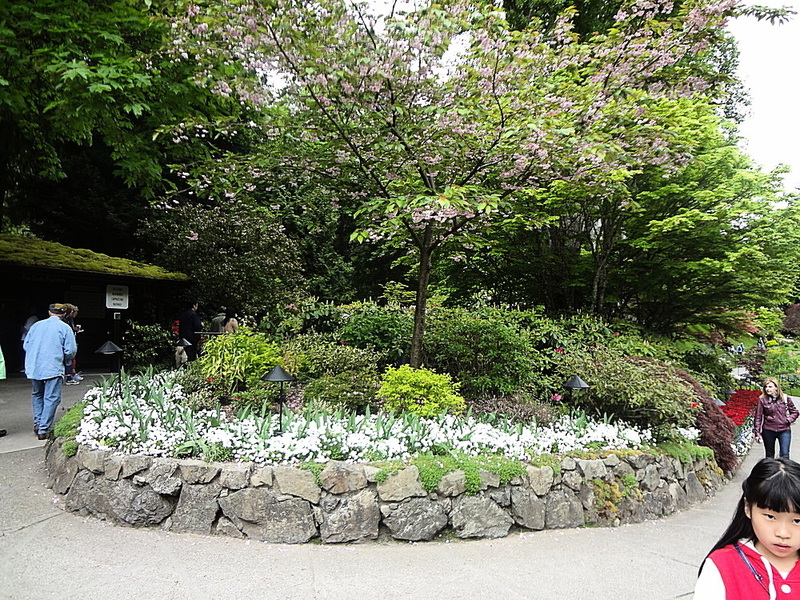 We made a beeline to Victoria Chinatown but did not stay long there before making a move to one of the most sought-after attractions in Victoria, the Butchart Gardens. 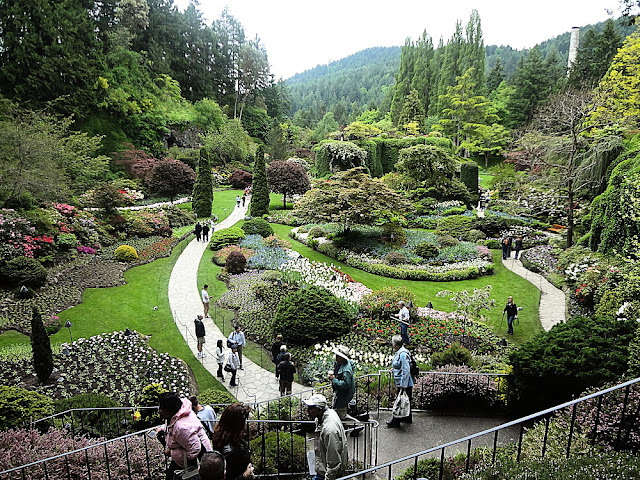 The Butchart Garden is a very renowned botanical garden which has a very long history in Victoria. It's comprised of a number of different themed gardens namely the Japanese Garden, the Italian Garden, the Private Garden etc. 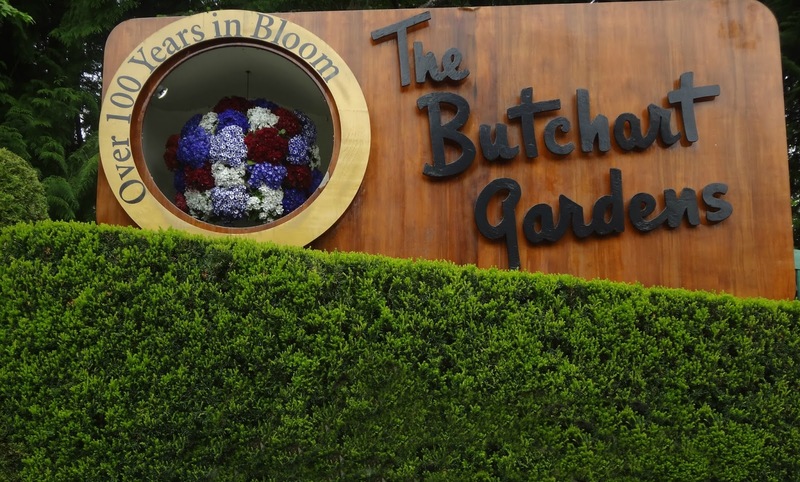 Millions of visitors are compelled by its extremely picturesque scenery perfected by a wide collection of plants. In 2014, it was designated as a National Historic Site of Canada. The vast land was originally a cement plant/ limestone quarry owned by Robert Pim Butchart and his wife, Jennie more than 100 years ago. It was then altered into a botanical garden after the limestone deposits were exhausted and started attracting tourists. The building in the background used to be the Butchart residence a long time ago but it's since been changed into an award-winning fine-dining restaurant called The Dining Room as per the transformation of the enormous quarry into a major tourist attraction. The restaurant offered a very scenic view of the Private Garden. The most spectacular garden of all would be the Sunken Garden in which it's generally considered the highlight of the Butchart Gardens. The garden was once an abandoned exhausted limestone quarry but thanks to the relentless effort of a green-thumbed Jennie Butchart, it's become what it is like today. 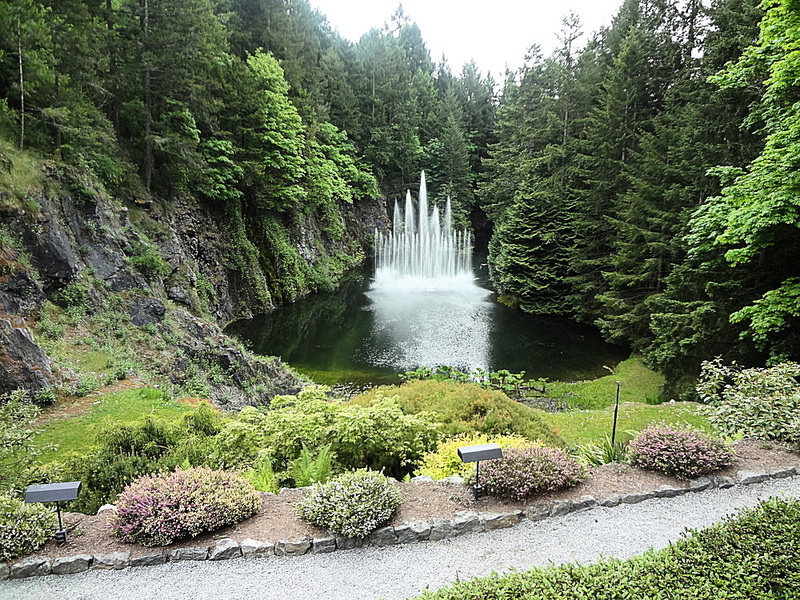 The Ross Fountain which was named after the Butcharts' grandson, Ian Ross, was another attraction in Butchart Gardens. It could pump water 20 meters into the air in different patterns. Ooooo...beautiful! Love the flowers. Where are you actually? For a while in Sibu, then Kuching, then Canada - like you're all over the place.